John C. Havens is Executive Director of The IEEE Global Initiative on Ethics of Autonomous and Intelligent Systems. The IEEE Global A/IS Ethics Initiative has two primary outputs – the creation and iteration of a body of work known as Ethically Aligned Design: A Vision for Prioritizing Human Well-being with Autonomous and Intelligent Systems and the identification and recommendation of ideas for Standards Projects focused on prioritizing ethical considerations in A/IS. Currently there are fourteen approved Standards Working Groups in the IEEE P7000™ series. Guided by over two hundred fifty thought leaders, The IEEE Global A/IS Ethics Initiative’s mission is to ensure every stakeholder involved in the design and development of autonomous and intelligent systems is educated, trained, and empowered to prioritize ethical, values-driven considerations so that these technologies are advanced for the benefit of humanity. John is also the Executive Director of The Council on Extended Intelligence (CXI), a program created by The IEEE Standards Association and The MIT Media lab to proliferate the ideals of responsible participant design, data agency and metrics of economic prosperity prioritizing people and the planet over profit and productivity. CXI Members include three members of The European Parliament, two members of the UK House of Lords, two Ambassadors, and dozens of global experts from the realms of business, policy, academia and engineering. Previously, John was an EVP of Social Media at Porter Novelli where he worked with clients including P&G, Gillette, HP, and Merck among others. He was also a professional actor for over 15 years and appeared in principal roles on Broadway, TV and film. John is also a contributor on issues of technology and well-being to Mashable and The Guardian and is author of the books, Heartificial Intelligence: Embracing Our Humanity To Maximize Machines and Hacking Happiness: Why Your Personal Data Counts and How Tracking it Can Change the World (both published by TarcherPerigee, an imprint of Penguin Random House). 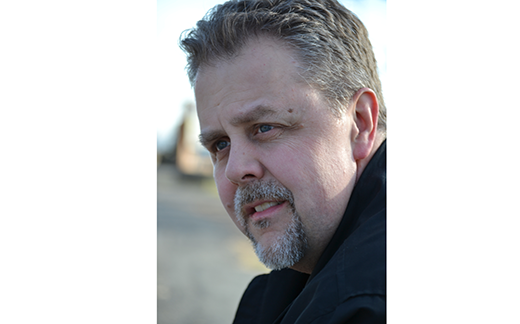 For more information, visit John’s site or follow him @johnchavens.